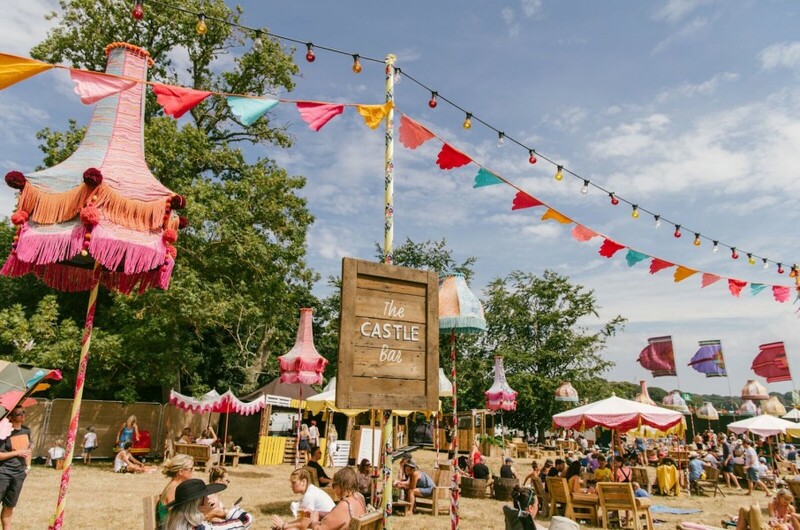 Exclusively for Hospitality campers, Backstage campers, VIP Day Ticket customers and our favourite artists, the Castle Bar is a wonderful location to relax and unwind with friends late into the night. 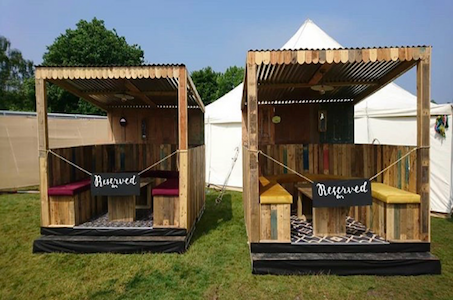 Located in the Castle Field, this private bar enjoys a delicious cocktail menu, premium flushable toilets, unmissable views of the main stage and comfortable seating. If you’re a Hospitality or Backstage camper, join us on Thursday night in the Castle Bar for a special opening party where you can get to know your fellow campers and get excited for the weekend ahead! You must have a Hospitality Camping Upgrade, Backstage Camping Upgrade or VIP Day ticket in order to enter the Castle Bar. Upgrade tickets can be booked here. Evening: 6pm-11pm – £700 All sessions include 2 free bottles of champagne, and a selection of beers and soft drinks. PLEASE NOTE: If you wish to book a seating booth, all members of your party must have a Backstage Upgrade, Hospitality Upgrade or VIP Day Ticket. If you do not have this, your booking will not be valid. Seating Booths can be booked here.